Replacing the worn out Pistons and Piston Rings in your lawn mower, snow blower, generator, and any other small engine equipment, helps to ensure an efficient, high performance, long-lasting engine. You can find replacement pistons and pistons rings for your Briggs and Stratton, Honda, Kohler, Tecumseh, or many other popular manufacturer's engine, here at Jack's. We can supply you with a piston kit, piston ring set, or individual pistons and piston rings for your small engine repair job. Match your part or model number below to select the replacement piston parts that are the proper size for your engine's cylinder. 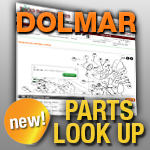 Plus, check out our small engine parts section for additional engine parts.